Ishita Sood is an Indian blogger who visited Italy for a couple of weeks and fell in love. Since then, she has been writing, reading and researching on the country. Ishita plans to return to the country soon and visit the unexplored regions. She writes the blog, Italophilia! Italy, Books, and More..! 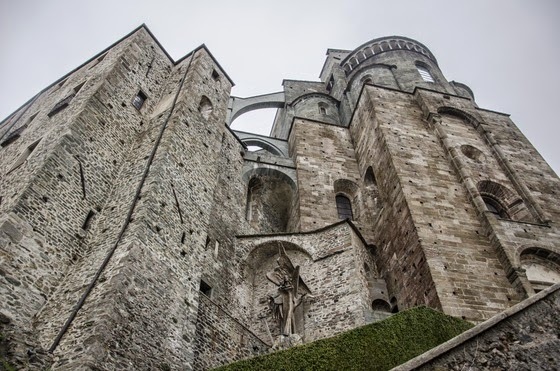 Sacra di San Michele or Saint Michael's Abbey as it is called in English, is one of the most important historical buildings in Italy. Located in the Piedmont region, just 50 minutes away from Turin, this architectural marvel is believed to be constructed by angels. 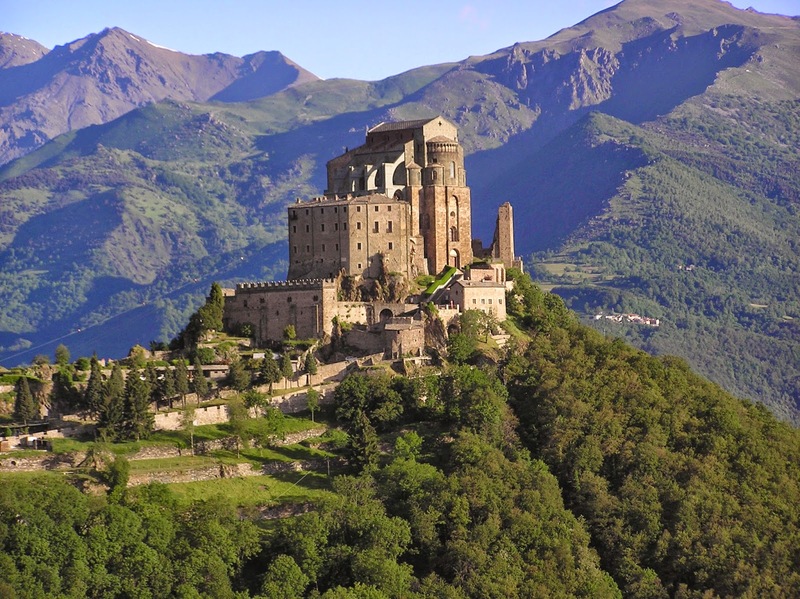 Sacra di San Michele is situated in the Susa valley - the longest valley of Italy, named after the city of Susa. Umberto Eco, the well-known Italian author, visited this religious complex and took it further as an inspiration for the abbey in his much acclaimed book "The Name of the Rose". I had a chance to read the book recently and the gothic abbey definitely added to my curiosity. Situated on top of Mount Pirchiriano, it probably seems like a monumental task to reach the abbey. But actually it isn't. It is pretty much doable and Trip Advisor has some pretty great reviews on its breathtaking views. The gothic abbey is easily accessible via train till the town of Sant'Ambrogio after which there is a climb of 1.5 hours. However, if one isn't in the mood to hike, there is always an option to drive up till the entrance. 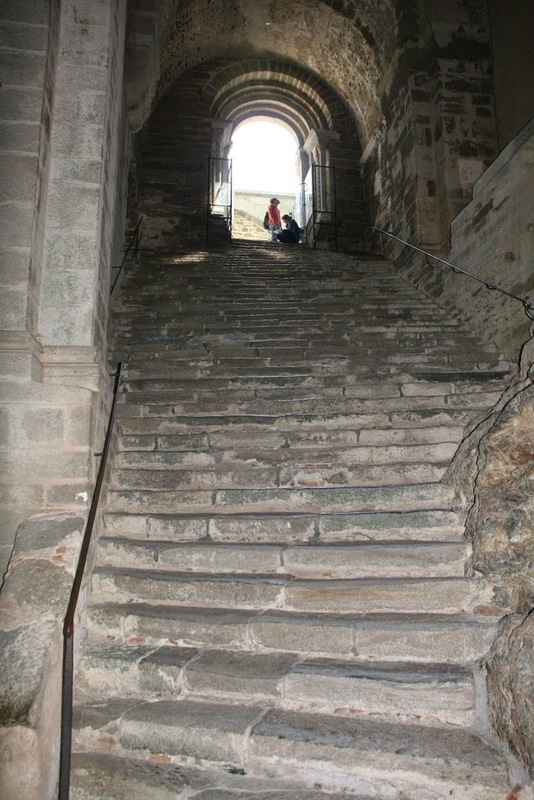 The entrance includes a long flight of steps that are eerily called "Steps of the Dead". The abbey is made of green and grey stone and has both Romanesque and Gothic style of workmanship. Inside are some beautiful frescoes. Being a sacred place, there are timings to visit and exceptional days such as Monday are off. Additionally, in order to enter the inner side of the abbey and enjoy the ancient experience of being in a monastery, one must pay. It seems so exciting to think that a place with so much history and folklore, stands tall and mighty amongst us. I would definitely add it to my long list of places to see in Italy. - Italophilia! Italy, Books and more...! Great post! Those stairs look like they could be quite a challenge! Beautiful photos!